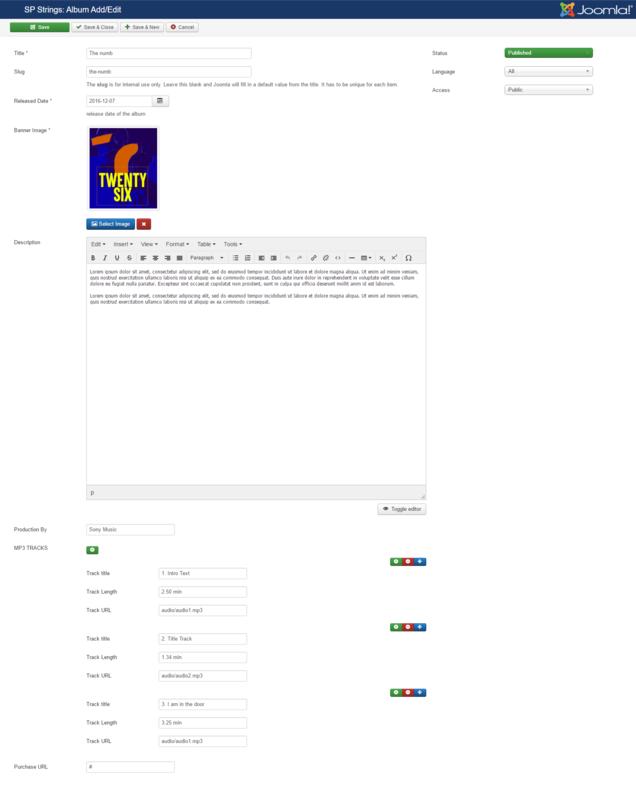 Arrange Events Cultural people join and hold various events frequently. 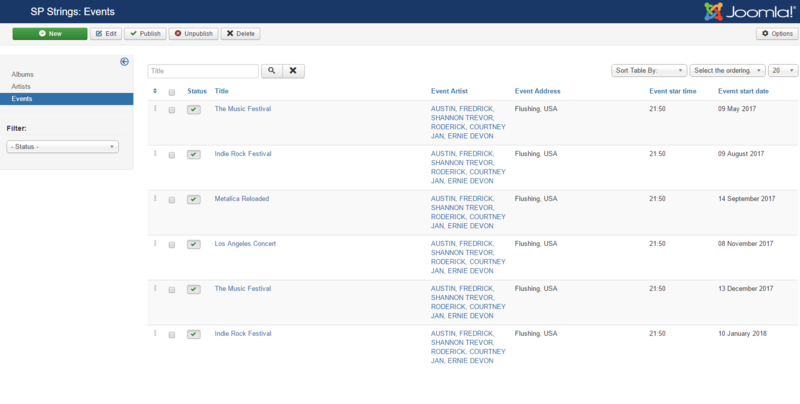 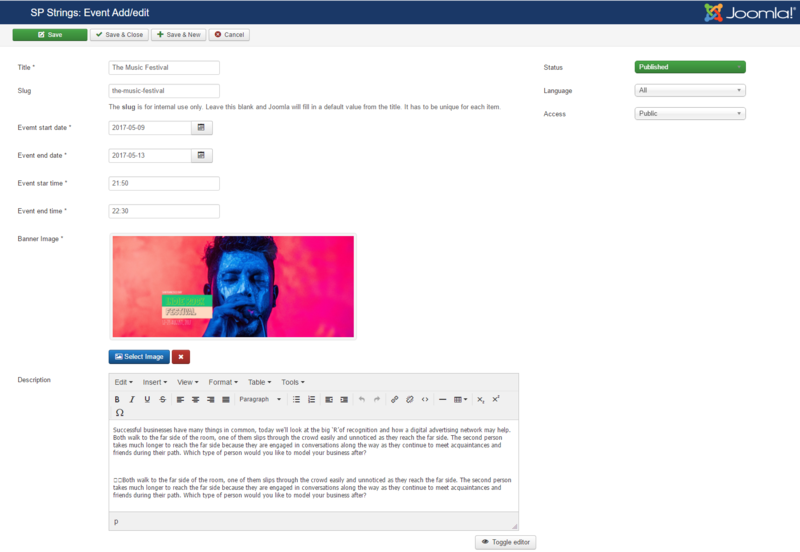 The SP Strings Component lets a musician or artist arrange any size of events having multiple performers easily. 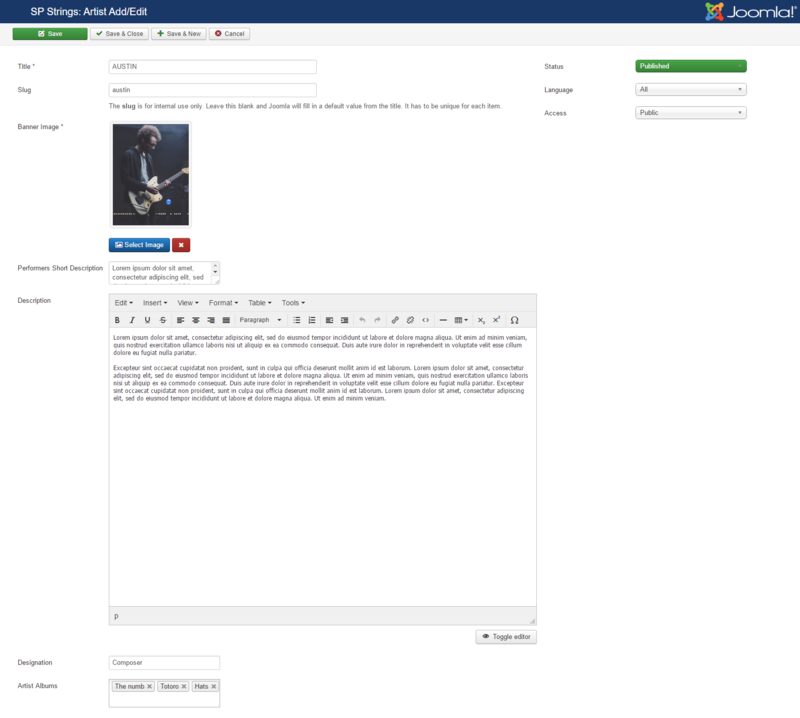 Display Albums Artists and musicians can create albums and display on their sites to let the audiences find their music works organized in one place. 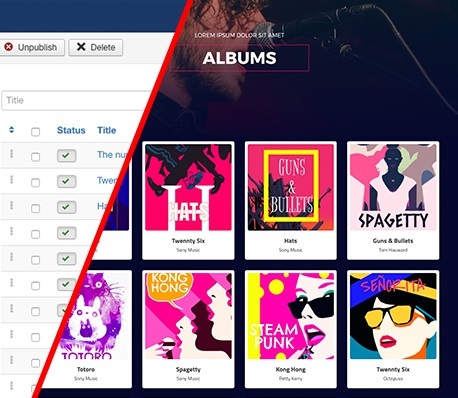 Albums contain album-arts and detailed information. 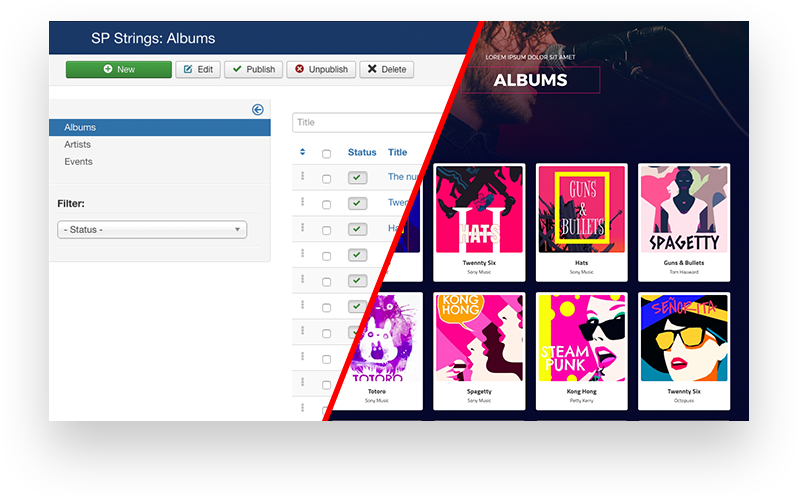 Music tracks can be made available to play and sell online via these albums.